Rob “Piz” Pizem, 42, is a man in perpetual motion. 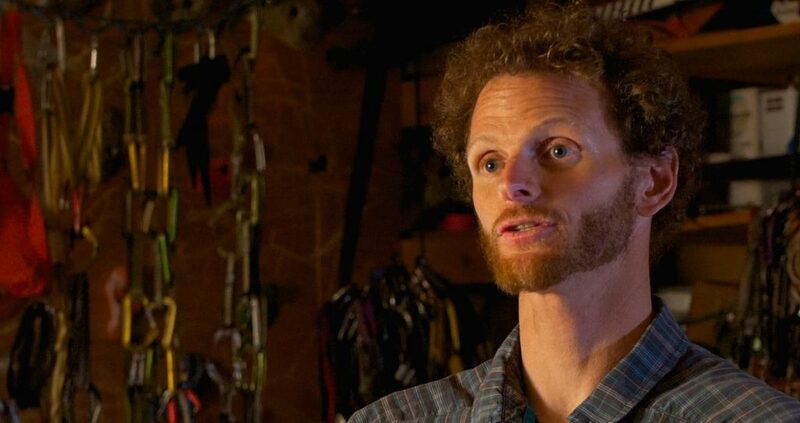 Along with raising two sons with his wife, Jane, Piz teaches high school science to at-risk youth, logs hours as the head trainer at his local gym in Grand Junction, CO, and carves out time away from his family to put up some of the most ascetic first ascents on terra firma. Between driving the kids to baseball practice, spending time with his wife, developing curriculum for his students, and designing climbing regiments for his clients, Piz finds about three hours a week to train himself, somehow maintaining the fitness necessary to nab the first free ascent of routes like Thunderbird, a remote 2000 ft, 16 pitch .13a R in Zion National Park. Hard chargers can rub some folks the wrong way and Piz is no exception. His life is so bisected, investigated, and massaged to fit esoteric timetables that he has nary a moment to spare on folks who get in the way. Indeed, he maintains a list of possible climbing partners, over-stokers who know how to rise early, work hard, and suffer alongside him in sometimes unquantifiable doses. Buttercup, did you hit snooze? You’re off the list. Forever. There’s no faking this kind of dedication. As with climbing, he lives his life with purpose. He teaches because he wants to give back to society. He puts up new routes in wild locales because he feeds off the experience, from the pre-sunrise drives to the last bolt hand-drilled at the final belay. He walks away from epic FAs because he knows he can’t justify the time away from his family. He’s the real deal in a world of social media curation, a rare bird indeed. Thank you, as always, to Ryne Doughty for the tunes. Have a question, concern, pitch, or criticism? Drop us a line at thunderclingpodcast@gmail.com. Toss us a DM on Instagram @thethundercling. We read and respond to every note we receive.